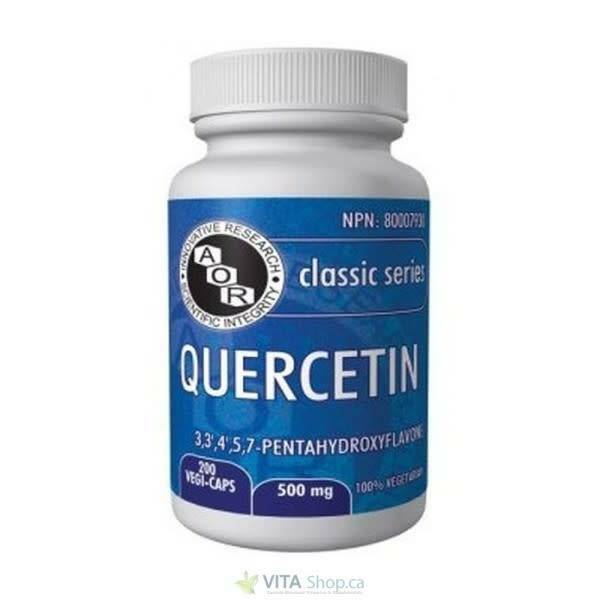 Quercetin is the flavone aglycone (non-sugar-bound) form of the polyphenolic flavonoid rutin. It is the major bioflavonoid in the human diet. A potent phenolic antioxidant. Research supports Quercetin's ability to stabilize the membranes of neutrophils (a kind of immune cell) and thereby balance the production of histamine and inflammatory signaling molecules. Antioxidants stop oxidants (free radicals, which disrupt the integrity of other molecules by stripping their electrons) from attacking nearby molecules, such as mitochondria, membranes, and DNA. There are many classes of dietary antioxidants, and flavonoids are one of them. Flavonoids have many phenols linked to their antioxidants. Common sources of flavonoids are vegetables, fruits, and beverages such as wine and teas. 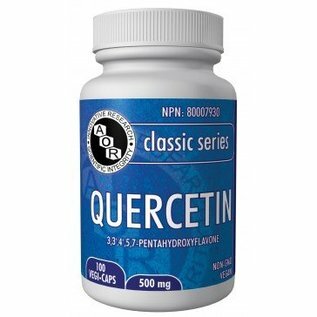 Of the many flavonoid powerhouses, Quercetin is a major player. Quercetin is the most widely consumed flavonoid in the diet. Quercetin has been widely used by Russians and Europeans to treat a variety of ailments.